This story was originally published on my Medium account. On a grey Saturday morning as the city slept, I rocked up at Manchester airport, bleary eyed but buzzing; heading on holiday but no idea where I’d be going. Totally clueless, my birthday present was awaiting. Safe in the knowledge that flights and accommodation had been taken care of, I jumped into my adventure to the unknown… Little did I know how great a time I’d have and how strong I’d come back. 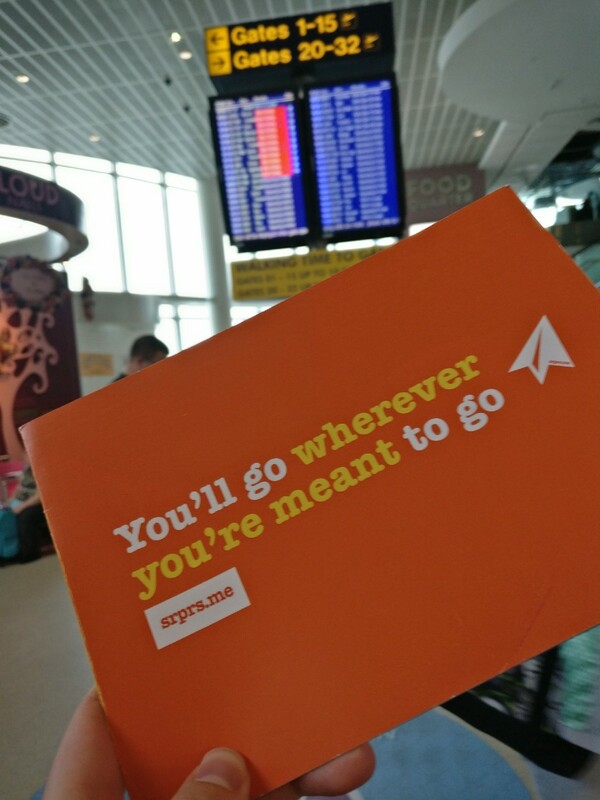 This is my story of going on a surprise holiday with srprs.me. Ready to fly into the unknown at Manchester Airport. I hovered over the book now button, and after chickening out several times and after several chats with several people, I took a breath… and clicked. As soon as I got my confirmation email, the stress instantly melted and the excitement kicked in. The decision was made and I was going wherever I was meant to go. I knew that wherever I went, I’d make sure I valued and enjoyed it. Rather than have pre-set plans and ingrained ideas, I promised to cherish my time abroad, indulge in my destination and value whatever I end up doing. I entered the number on my scratch card, and found out I was going to Berlin! Immediately, an email came through with all the specific details of where I’d be staying and what flight I’d be getting, and while absorbing it all I got dreaming about all the cool things that I’d be doing in just a couple of hours. It was palpable! As soon as I arrived at the hotel I set off for an explore! 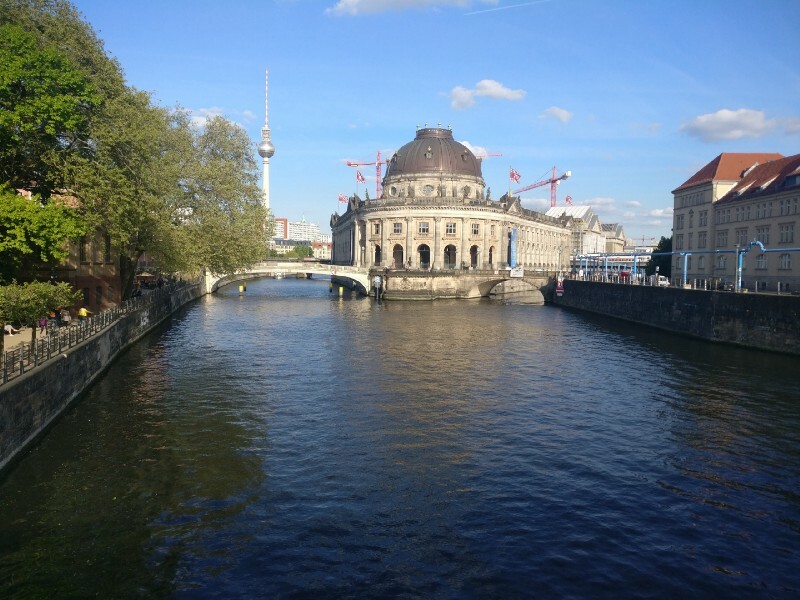 I checked the hostel out and saw it was just 5 minutes away from Museum Island and had glowing reviews online. To my amazement, the private room I asked for had an en-suite. This was going to be a really lovely birthday treat! And so, following an exceptionally mediocre and expensive breakfast at Terminal 1, I hopped on the plane, jumped on a train and bounded for the hotel. Following a quick shower, I set out exploring, with a totally different attitude to any other holiday I’d been on. Free, in a city I loved, with no plans, no obligations and no pressure. 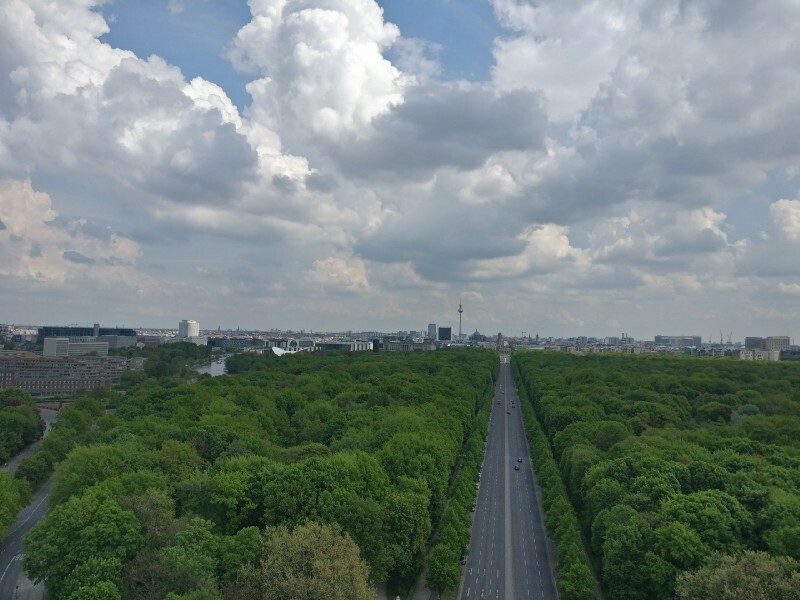 As well as the obligatory sights to see and places to go, I enjoyed following my nose and seeing where I ended up — from walks down Karl Marx Allee and pop up art exhibitions in the outskirts to sports competitions in the streets and mini markets. I fed my interest in architecture. Wherever I went, I spoke to people. Both locals and other travellers were keen to talk. It was fun and exhilarating! I always get a boost from talking to people I’ve never spoken to before. 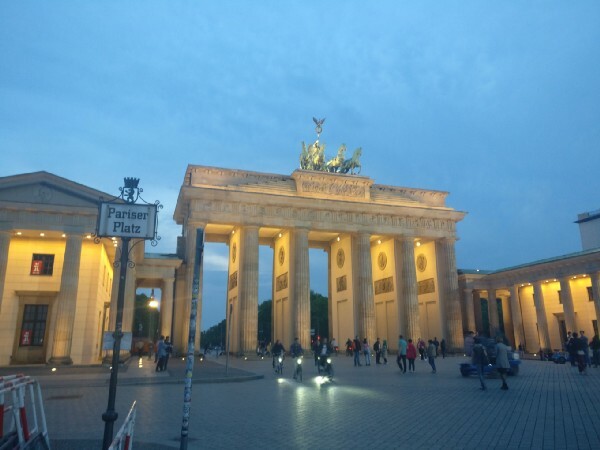 The whole context of a srprs.me trip changed how I approached my time in Berlin. Everything felt like a secret surprise. I also got precious time to read, to think, and to be. It is so simple but so often forgotten in daily life. I took pleasure in choosing an unsuspecting cafe, park or bench to just sit and read whenever I felt it. I was free to do as I wanted with the attitude of making the most of whatever I did. 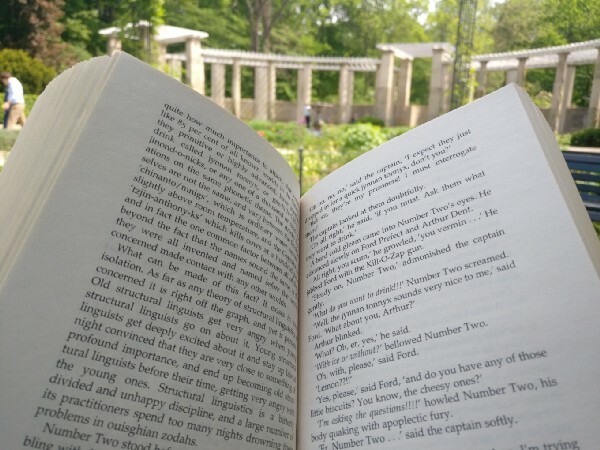 Reading a good book in the sun in the Tiergarten’s Rose Garden. I’d subscribed to surprise and made sure this adventure wasn’t going to be generic. I went out by myself. I met people. I pushed my boundaries. It was scary and liberating. I don’t think I’d have had that chance ordinarily. And yes, traveling solo can take courage as you don’t have that immediate network with you, but for me it was so rewarding. I visited the various memorials in Berlin, reflected on other peoples’ lives, and left feeling grateful for what we have today. It gifts perspective. After three bliss days surprising myself in all sorts of ways, I woke up to a knock at the door. Fumbling my way into a tshirt and jeans, I opened it and to my delight found hotel staff with a huge birthday cake and a lovely birthday wish from srprs.me! It was the nicest gesture (and a very tasty one) that I and the others in the common room enjoyed. I sent a postcard back to show my gratitude! And so I came back from my surprise holiday glowing; I hadn’t followed the crowd and by placing trust in myself and others I’d come back more confident and completely refreshed. And I must say that travelling solo was a massive gift; I had spoken to a diverse range of people, visited many out of the way and interesting places, and seen so many unplanned and unexpected treats with no compromises. The photo below is from the Berlin Victory Column that I entirely didn’t mean to go up to the top of until I stumbled upon it (via an arty but entirely confusing subway). Feeling on top of the world, every twist twisted, turn taken, coffee consumed, sculpture seen, and graffiti ogled felt like a gift. It was such good fun. Would I recommend it is the question I get asked the most. And honestly, I can’t recommend it enough! It’s why I’ve written this story. If you feel like a slightly different holiday, give srprs.me a shot! I can’t wait for my next surprise holiday.